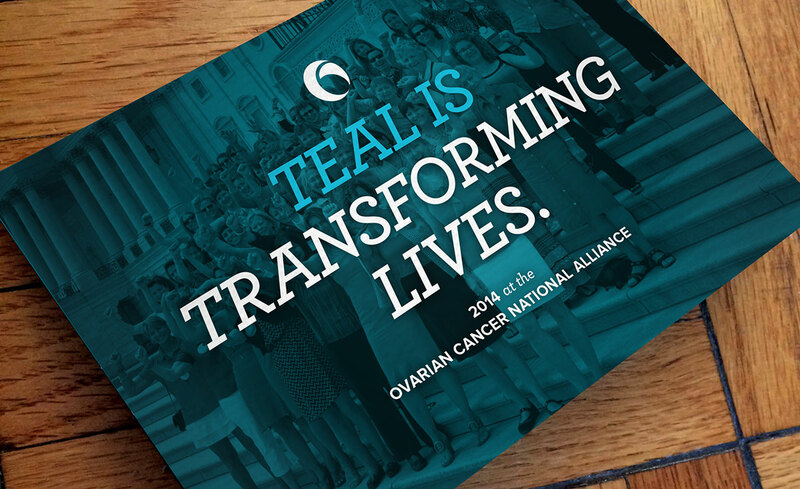 2014 was a big year at the Ovarian Cancer National Alliance (now called Ovarian Cancer Research Fund Alliance). By securing critical federal funding, launching research and education initiatives, and being an essential resource for the community affected by this disease, the Alliance works tirelessly to change women’s lives. 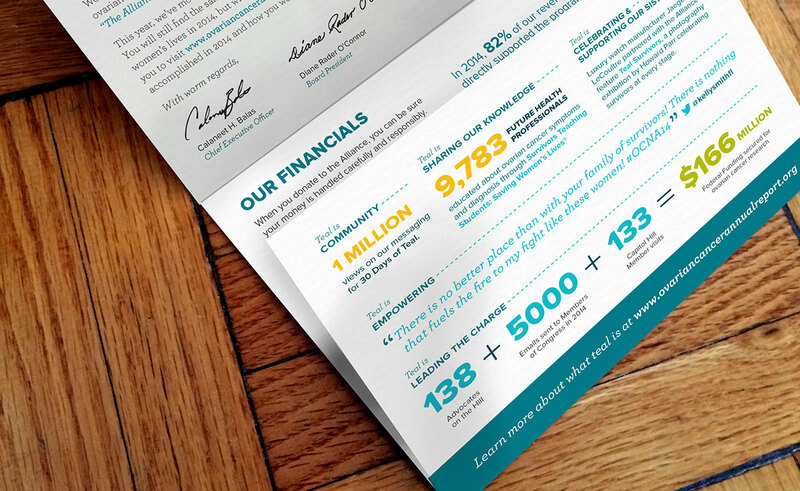 The 2014 annual report highlights just a few of their many accomplishments. The Alliance has moved away from printed Annual Reports for the past few years, expanding the amount of content they put on the web. 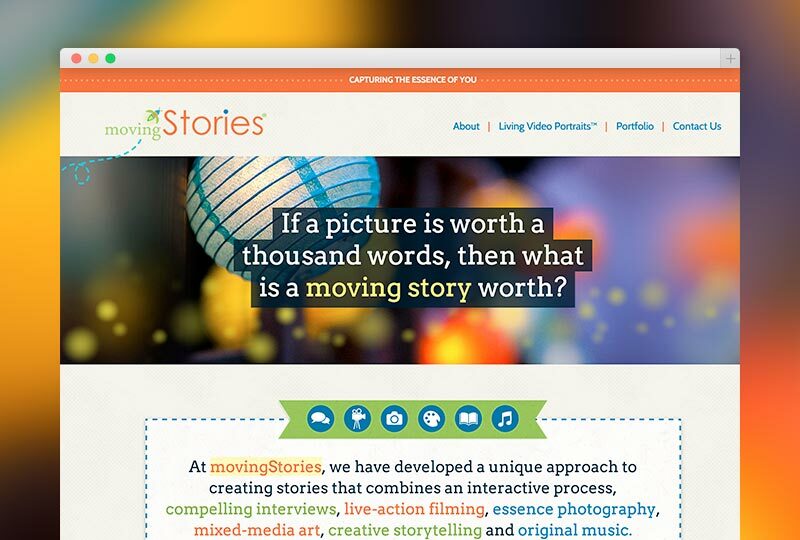 For 2014, we helped them focus even more on the web by creating a responsive website that used slight animations to provide a stronger emotional resonance. 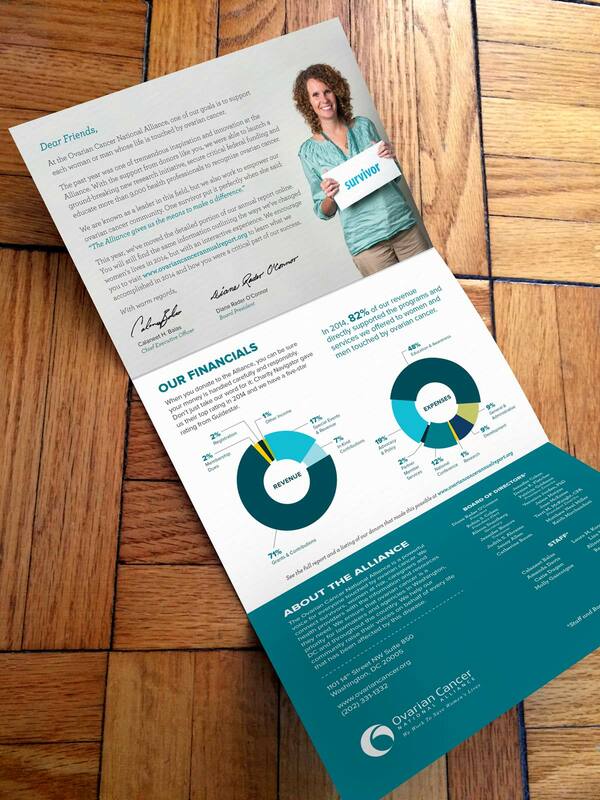 To reach a wider audience, we supported the website with a small printed companion piece. The piece was printed by Harris Plus. Both the web and printed piece show off major events, important facts, financials, and the CEO’s letter.